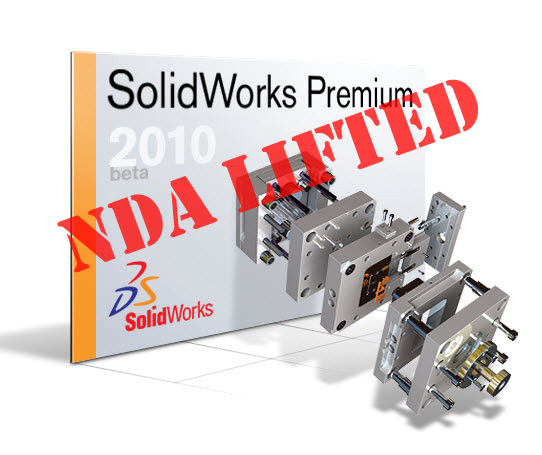 Well folks, it’s now officially August 24, 2009 and the NDA on SolidWorks 2010 has been lifted! 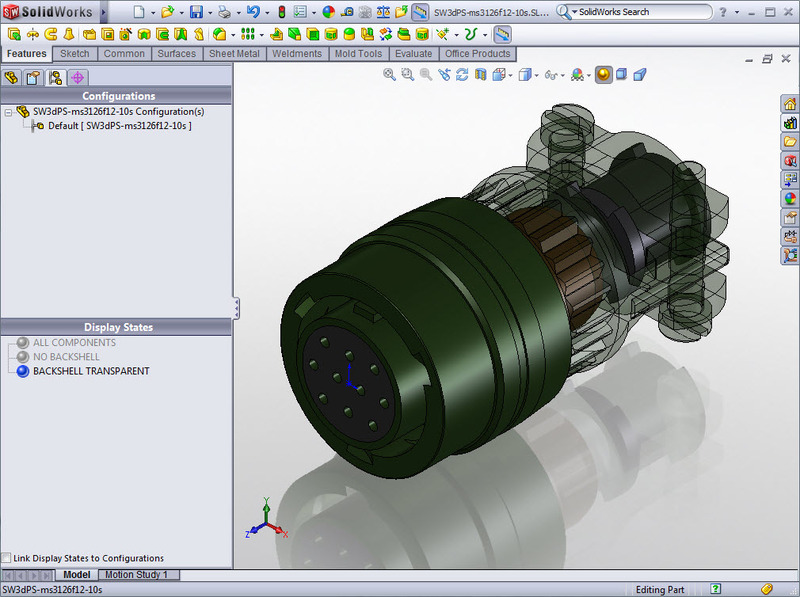 With this post, I’m going to just quickly highlight what I consider to be the most notable enhancements of SolidWorks 2010. This post will be followed up with more detailed posts that will include information on the enhancements along with links to videos that show off the new features. So without further ado, here are the highlights. For the most part, the main structure of the User Interface is the same, but with that said, there are some improvements. Mouse Gestures have been introduced. A simple Right Mouse Button click and drag will bring up the Mouse Gesture Wheel. You can program virtually any feature to any location on the wheel. My follow up post will share more insight into the use of the feature along with details on Customization. Below is an example of the Mouse Gesture interface inside a Sketch. Below is an example of the Mouse Gesture Wheel while in Edit Part mode. Other enhancements to the User Interface include a completely customizable Heads-Up View Toolbar. In previous versions there was only a specific set of features available in this toolbar area but now you can put virtually any feature there as long as it is available in Tools->Customize->Commands (tab). A Context Toolbar has been implemented into the Drawing environment. In SolidWorks 2009, it was only available in Part & Assembly documents. There is also support now for Touch & Multi-touch interfaces. Since I don’t have a device to test with, I can’t comment on this functionality. I am very glad to see this though as I believe we will see more interfaces like this in the very near future. Here is a big one folks. Starting with SolidWorks 2010, the Help system will be available ONLINE! Key advantages to this include always up-to-date Help information and a completely enhanced search system which sorts results by subject. (The search results sorting is very similar to the Knowledge Base system available at the Customer Portal.) For those that do not have online access a standard CHM type help file is included with the software. Testing on this is still in the early stages but it has performed VERY WELL on my system thus far. Here is a screenshot of the new online help system performing a search. So why am I mentioning Drawings before Parts or Assemblies? 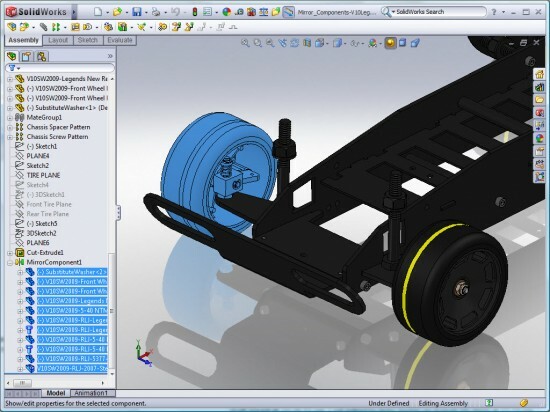 That’s because there are A LOT of enhancements to Drawings in SolidWorks 2010. Adding Dimensions and changing their properties have been enhanced with the addition of the Rapid Dimension tool and the Dimension Palette. 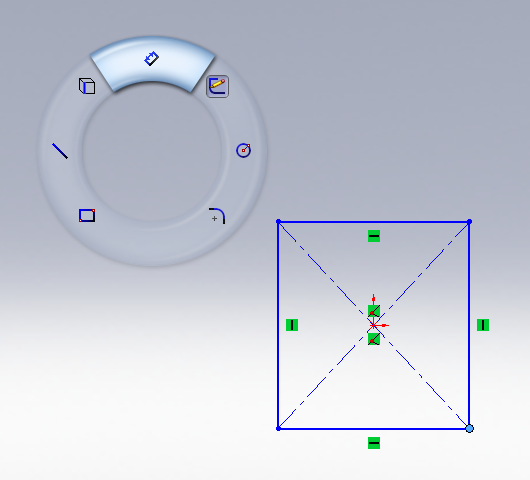 Rapid Dimension is a quick select “circular” icon which appears during the Smart Dimension process. It allows the user to quickly place the dimension on one side of the part or the other using the dimension spacing settings in the Document Properties. 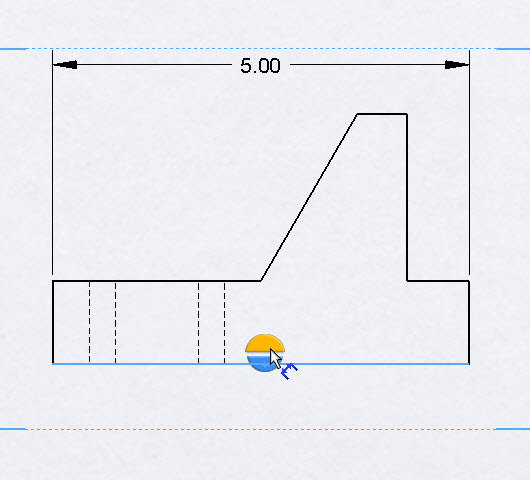 Below is a screenshot of the Rapid Dimension tool. The Dimension Palette behaves similarly to the Context Toolbar in that it appears in via a “heads-up” style in the graphics area when a dimension is selected. Inside of the Palette you can set the dimension text on the left, right, top, or bottom along with tolerance type, decimal places, and other text justification tools. This will allow the user to concentrate more on the graphics area without having to mouse over the PropertyManager to change settings. Below is a screenshot of the Dimension Palette in action. Another popular enhancement in the Drawings package is Excel-Like Behavior for all tables! Gone are the days where you have to double-click each cell individually to enter data. The Tab and arrow keys now work just like Microsoft Excel when entering data into ANY of the Tables in Drawings. 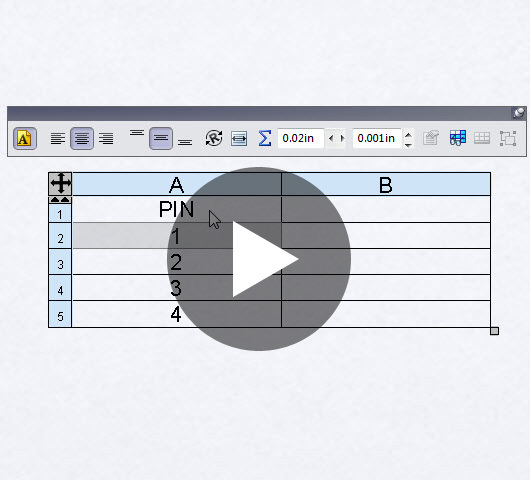 Below is a quick video demonstrating how quickly you can enter data in Tables. Another enhancement which I personally think will get rave reviews is the ability to Insert Individual Note Annotations into an existing Note in a Drawing. Picture it this way – You can save the most common notes as individual line items in your Design Library. You can then “build” your Notes by dragging and dropping the line items you need from the Design Library. Below is a link to a short video that demonstrates this new feature. Other notable enhancements in Drawings include a Parametric Quantity Annotation option for Balloons, Custom Balloon Sizes, automated Gap adjustment when adding Center Marks to holes already dimensioned, Configuration Selection in the PropertyManager (instead of the View->Properties), & the display of Sketch Pictures (inserted in Parts or Assemblies) in the Drawing Views. The Split Line command will now work with multiple contours in a single sketch. It will also split curves on multiple bodies within a single command. Below is an example of using multiple contours with the Split Line command. Direct Editing has been a hot topic of late and there are a few enhancements to that area of the software. The Move Face tool has a few additions. You can now Copy faces while moving them (I’m still trying to formulate an example where you would need this) and the Select Connected Faces command has been added to the interface to allow easier selection of face sets. A triad tool can be moved which directly effects the way faces are moved. The triad can also be snapped to certain entity types. Below is an example of this. I’ll have much more on this tool later in a more detailed post. Personally, I would have liked to see more work done in the area of Direct Editing in this release. 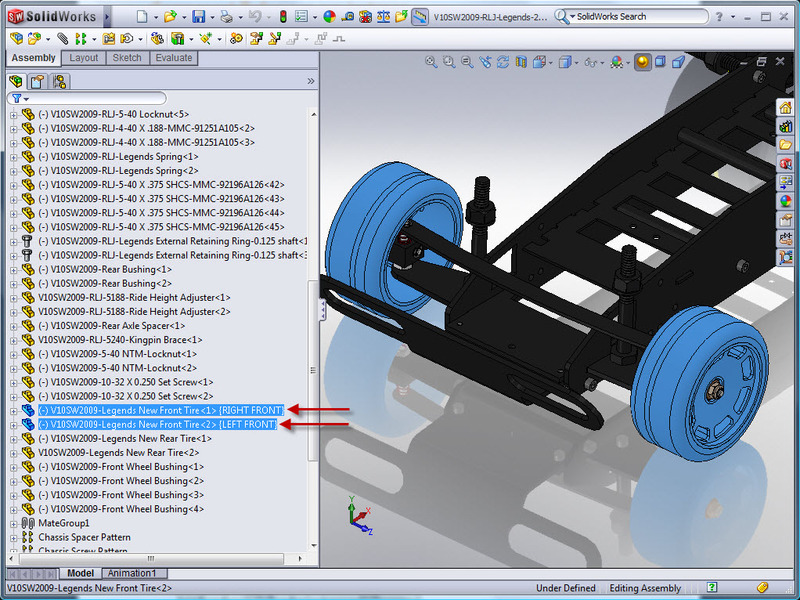 I do like the way SolidWorks is proceeding in that the Direct Editing tools still leave a feature in the History Tree. Also enhanced in the Direct Editing area is the Delete Face command. 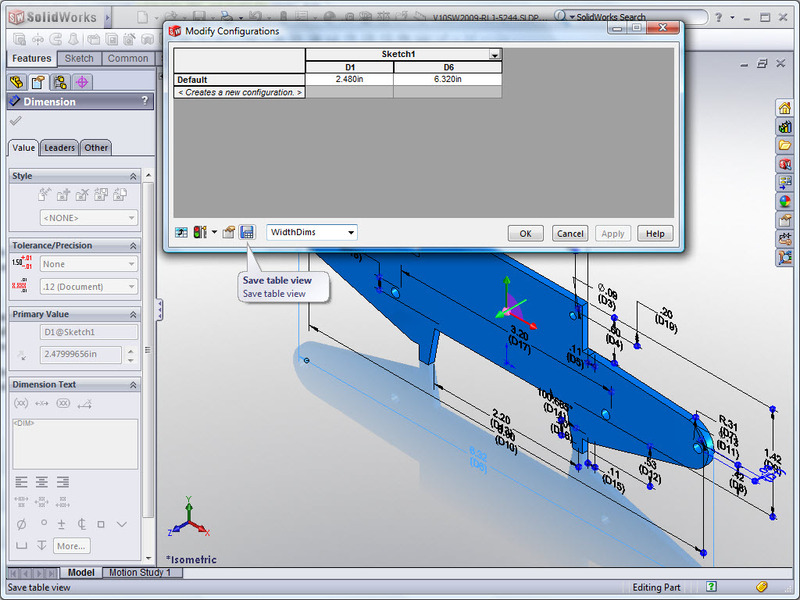 The performance of this tool has been enhanced which results in smaller rebuild times. In a future post, I will compare some examples that reveal more detail in this area. The FeatureWorks tools are now integrated directly into the menu system. With FeatureWorks (still an add-in but now dynamically activated) you can now recognize child features of feature sets that have already been recognized. You also have better options for combining holes during feature recognition. There are many more enhancements to FeatureWorks, so look for a future post with more details. The Assembly Visualization tool heads up the list of enhancements to the Assembly Environment. This tool allows you to sort the components of an assembly dynamically in both the graphics area and the Assembly Visualization tab of the FeatureManager area based on a number of different criteria. The default setup sorts components by Mass. You can export the results of this tool to an Excel (.XLS), .CSV or .TXT file. I’ll have much more on this tool later, but below is a screenshot of the tool in use. The Mirror Component feature in Assemblies has gotten a complete overhaul. The mirrored set of components are now stored as a feature in the FeatureManager which can be edited again after creation. If there is motion in any of the components being mirrored, that motion is mirrored as well. Below is a screenshot of the new Mirror Component feature in action. The View Mates command is now included in a separate window. At the top section of the window all mates that have a “path to ground” are displayed. This will help you understand which mates need to be modified in order to relocate the component. The Replace Component tool also now includes a separate window which helps the user correspond faces in “failed mates” to the new component by showing the previously mated faces of the component being replaced. Also included is a popup toolbar which allows the user to navigate through the mates as you replace them. Below is an example of the new toolset in the Replace Component command. 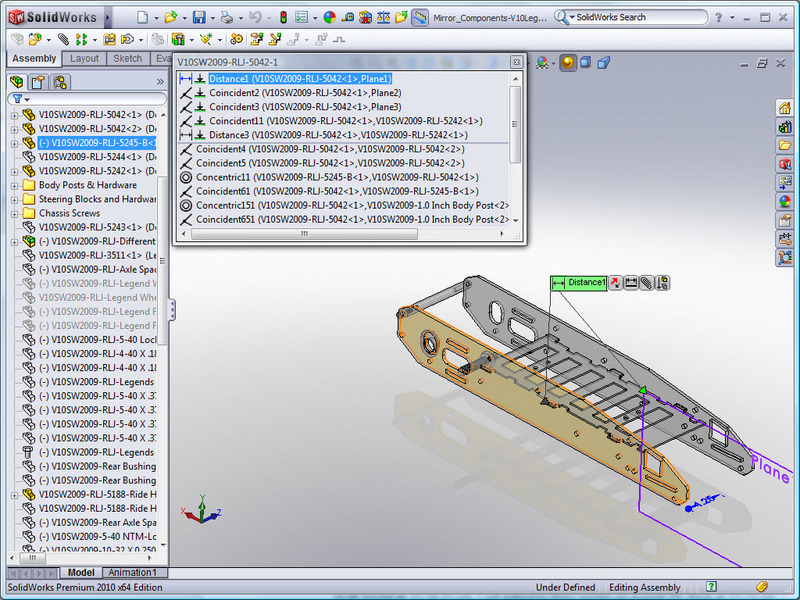 There is a very nice Instant3D enhancement in Assemblies which allows the user to more precisely move components. 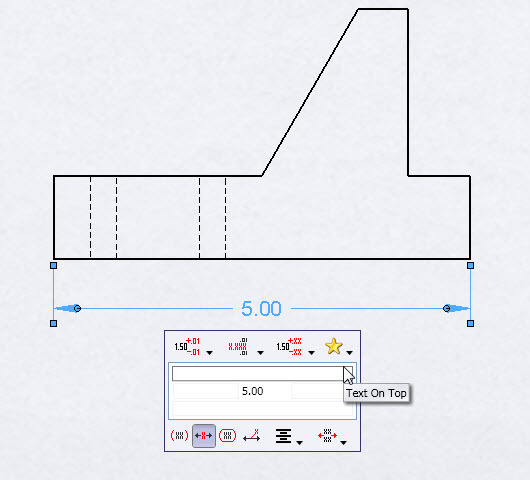 The Move With Triad option is available from the Right Mouse Button menu and displays a ruler so that you can move components a specified distance “on the fly”. Below is an example showing this new feature. 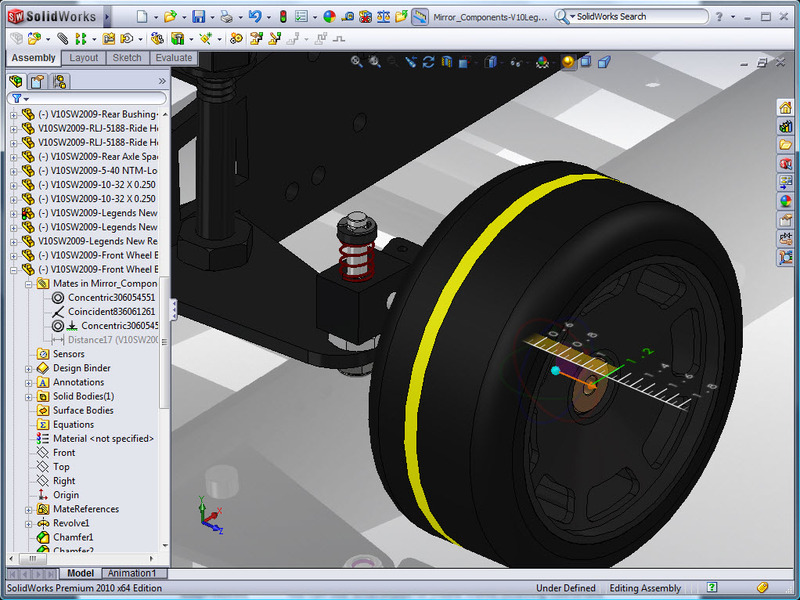 The next Assembly Enhancement I want to share is to me significant, especially to those using SolidWorks Routing. You can now add a unique Component Reference to each instance of a component in an assembly. This will be big in Electrical Routing because you no longer have to turn off the “Update component names when documents are replaced” option in the System Options when using Routing. Previously, this option was automatically turned off because Routing renamed the component with the Reference Designator name listed in the From/To list. I’ve created a much simpler example of how this can be used by using unique Component References to describe the Front Tires of the Assembly below. The option is set in the Component Properties window. The Component Reference can be display in the FeatureManager as shown below. Virtual Components received quite a few enhancements. You can now make an external component virtual, copy virtual components, and move virtual component amongst the hierarchy of the assembly structure. Also new is the naming convention for virtual components. Much more on this in a later post. There are two key enhancements to the Configurations area of the software. 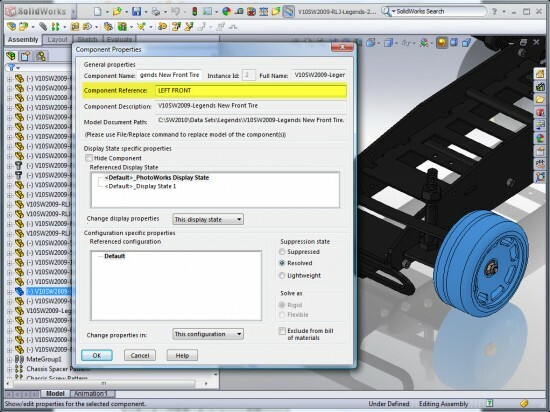 The Configuration Publisher has a SLEW of options that allow you to specify & create model data in the creation of new configurations. 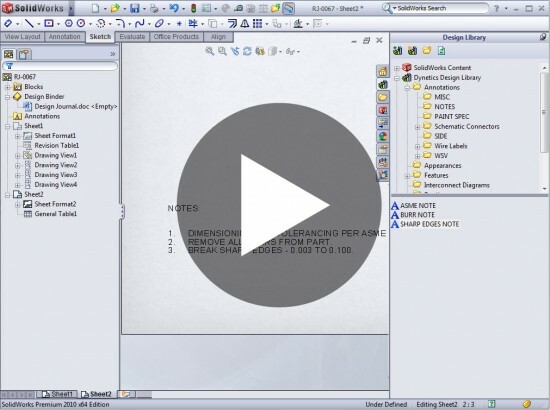 The Configuration Publisher has an interface VERY similar to the Property Tab Builder in SolidWorks 2009. There is too much detail in this feature to cover here, so I’ll save that for a future post. The second key enhancement is the Modify Configuration interface. Several Options have been added to this interface which will allow users to create configurations in a tabulated format quickly without having to use Design Tables. In this interface you can now Save Table views, configure materials, & create-edit-delete custom properties. (Just to name a few.) Much more detail on this later. Below is a screenshot showing some of the new options. Well…those are the highlights. The Sheet Metal enhancements are BIG and present the user with MANY new possibilities in the creation of Sheet Metal parts. Those enhancements will be better demonstrated in a detailed post in the very near future. 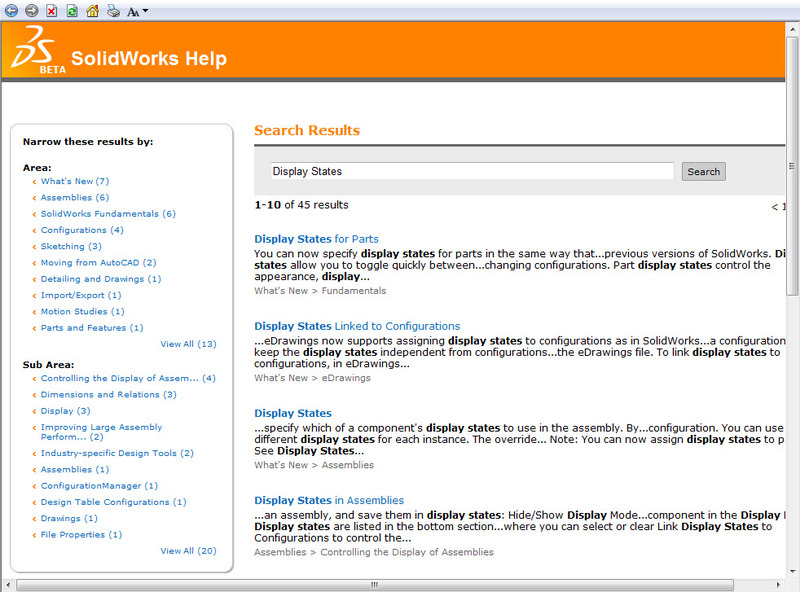 I should be able to post the What’s New in SolidWorks 2010 to the What’s New Guides page in the next day or so. 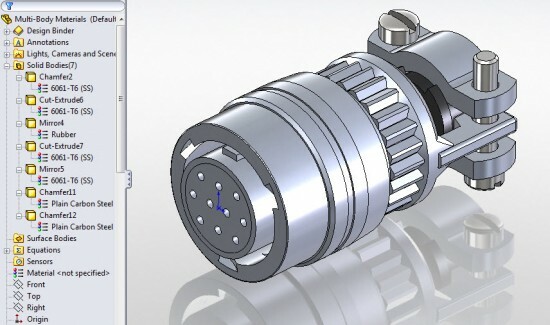 Detailed posts and videos on some of the SolidWorks 2010 enhancements will follow soon. Nice write up Ricky, looking forward to using it. Thanks for the news; I haven't had time to participate in the beta program, so it's great to be able to read this post. Have you tried the assembly sort on a large assembly and checked rebuild times before and after? That's awesome, you made a good presentation in your post. That will surely a success in the future. Thanks for sharing. 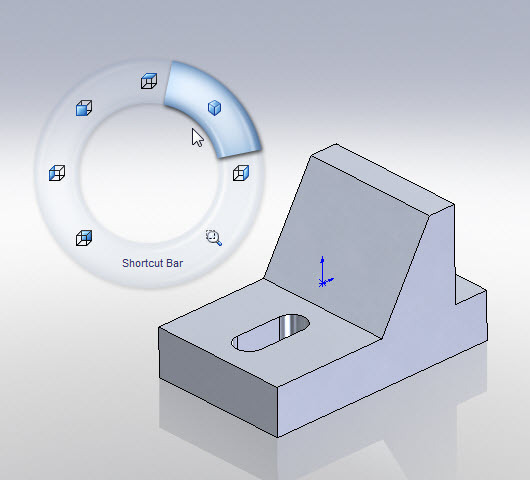 I dont really understand how please you are with solidworks. I feel that last years and this years news dont have much bite. I cant believe that people can be so happy to have a working mirror on asemblies, I consider that a minimun, if you have a feature it should work,. Like fillets and thinkness they dont perform as they should but havent improve in recent years. What about surfaces, the new enhacements are ridiculous. And the wheel pop up menu has been on Alias at least for a decade. Solid Works is not going to improve if people are not a bit more critical. I don't quite understand your comment. If you read back in the site, I HAVE been critical on a few items, but that is NOT what this site is about. If you want a site that points out the shortcomings of SolidWorks, I'm sure you can find one out there somewhere. 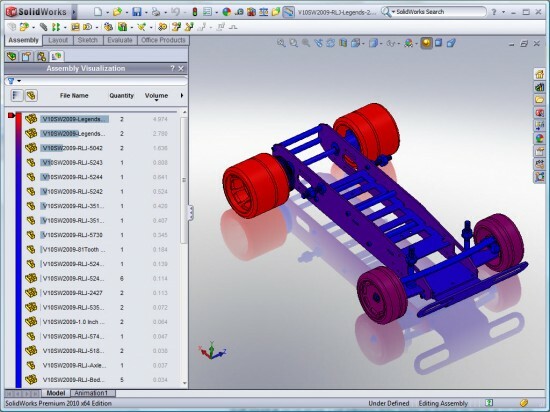 The purpose of this site is to HELP users understand how to use SolidWorks software. There are many folks out there who don't have the opportunity to attend training classes and are forced to learn SolidWorks much on their own. I was in that boat many years ago and had virtually no resources to learn from. You mentioned the Mirror Assembly tool. It DID work in the past, however it had limitations. 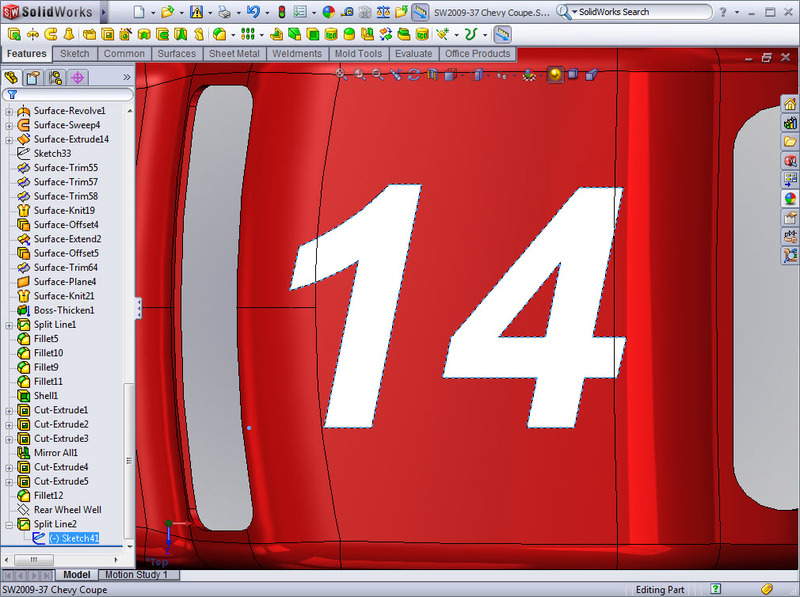 The SW2010 enhancements to this feature make it a more complete feature. 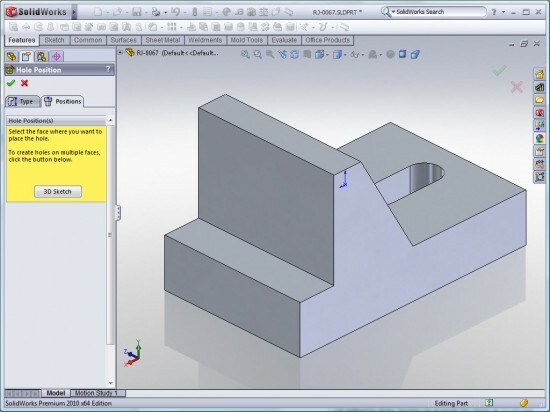 I guarantee you that is not the first time that has happened in the CAD industry. Fillets and “thickness” (I'm not quite sure what you mean there) work fine for me and I have modeled some incredibly complex models. If you have specific examples, then let's hear it. Also – The Fillet tool has has several enhancements over the last few years and the algorithms have continually been getting better on solving complex fillets. As far as the wheel pop-up (Mouse Gestures), so what if Alias has had it for years? 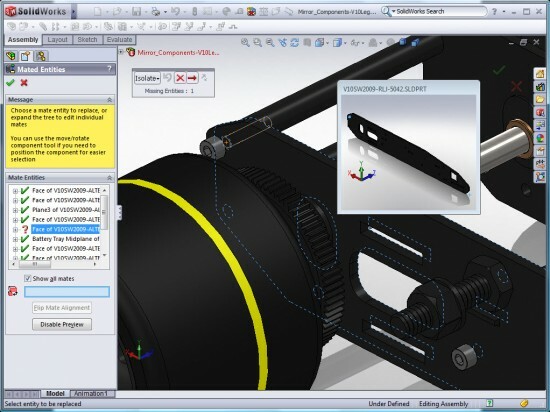 What I care most is what it will do to improve productivity for SolidWorks users and I believe it presents some GREAT options! My post on Mouse Gestures will be coming soon so make sure you check it out. By the way…your English is quite good considering it is not your native language. Thanks for reading and if you have questions, please feel free to E-mail me via the Contact link at the top of the site. I am sorry if the purpouse of your Blog is just to show how to use the new features. 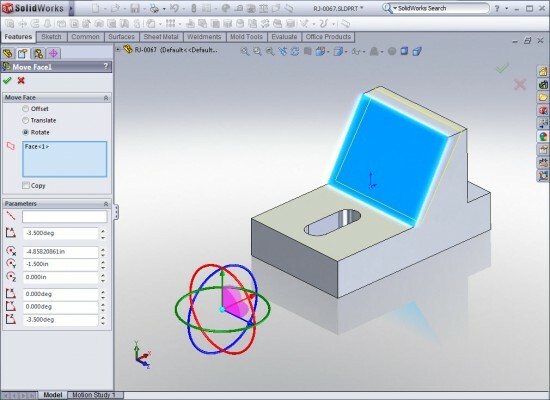 I love solid works and how it works, but it looks to me that in the last versions there is a lack of creativity at SW and the news they show are not much. I think that they are focussing a lot on simulation and little on the 3D tools.I guess your blog is a reference for the comunity and thats why I want SW users to know how I feel and if someone else agrees with me or not. Just to clarify…The purpose of my site is NOT just to show how to use the new features. It is to give users a resource to help learn the tool. I do encourage comments and of course welcome yours. After re-reading my response above I was perhaps a bit terse. I'm always open to discussions on things that users would like to see…but lets be specific. Simply stating that there is a “lack of creativity” doesn't really give me much to discuss here. I'm sure some will agree with you and some will not. I can guarantee you there is something in EVERY release that I have wished for but haven't gotten. A few of them finally came in this release. (Adding notes on the fly in Drawings and adding symbols in the notes.) We all have different things we want the software to do, so hang in there…perhaps SolidWorks 2011 will have some of the enhancements you desire. Make sure to keep filling out those enhancement requests. As far as your comment on Simulation tools go….I'm scratching my head a little on that one. This release didn't really have much more in that area than it usually does. Thanks for reading…and if there is any specific area of SW2010 you want to hear about, leave a comment. I might be able to work it into a future post. I think it's great that it supports Touch & Multi-touch interfaces. I will be visiting more often as you have done a good job, keep going.. I think the information presented will be useful to many people a lot. It's a prototype of the actual one. Thanks for sharing a good stuff. You can now make an external component virtual, copy virtual components telefon dinleme telefon dinleme. more and favoriting (if that is a word) the post instead. From now on though I'll definitely try and drop a comment every so often. Nice list of all the enhancement of this tool. From this post I can know what are the thing I can do using it. Thanks for compiling all of this.